Here's a comic that appeared in this month's New Era. 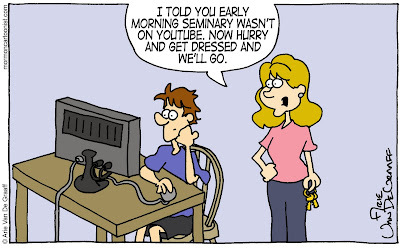 Prior to submitting it, I did a YouTube search for "early morning seminary", I wanted to make sure that the gag was at least truthful. Especially, after I submitted another gag earlier only to find out that that what I thought was an exaggeration was, in fact, exactly what was happening. But what a great idea! 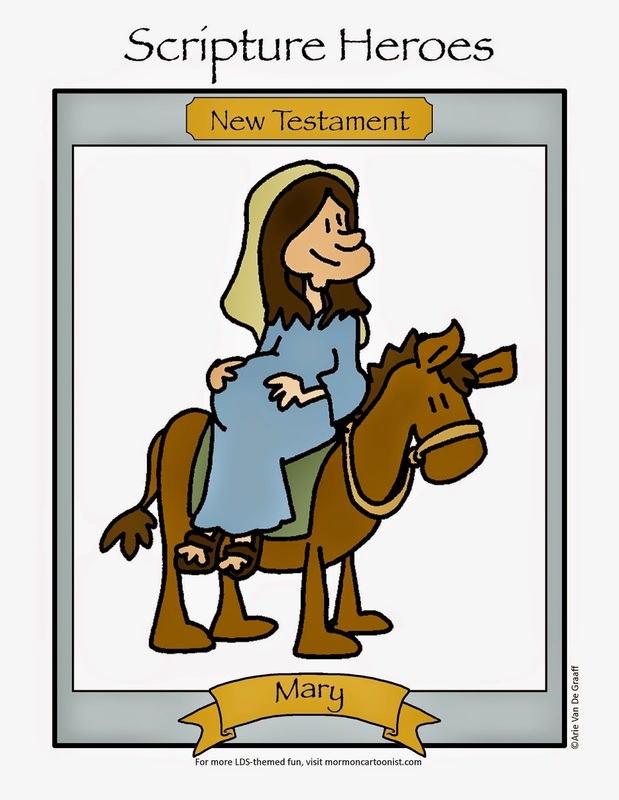 Home-study seminary for high school students on the web. I think you're on to something here. That would work, especially in areas with low population density of seminary students. I'd think it would be especially good if interested adults could take the course too (I really feel like I missed out on a lot by not converting until I was 24). How did you ever find out that young women were teaching their leaders how to text for personal progress? This joke probably won't be relevent soon because everything that can't be found on Youtube, ends up there eventually.